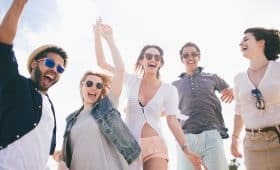 Vibrant Montpellier - the perfect city to have a lot of fun, to make great friends and to enjoy wonderful French language immersion stays in France! 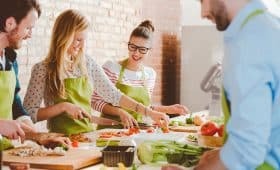 ILA/Why learn French in Montpellier? You wish to learn French in a fantastic University city. You would like to study French in the South of France under the Mediterranean sun with mild climate year round. 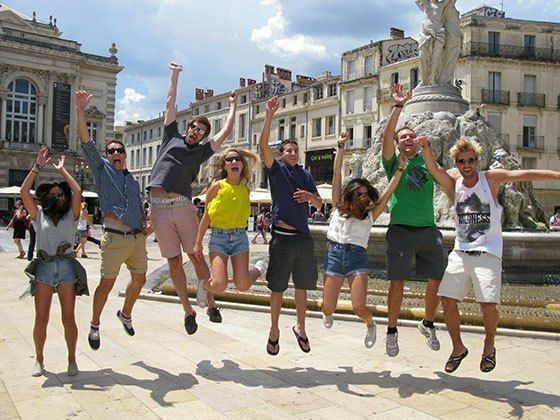 You prefer for your residential French course a lively city offering fun, excitement and dynamism. 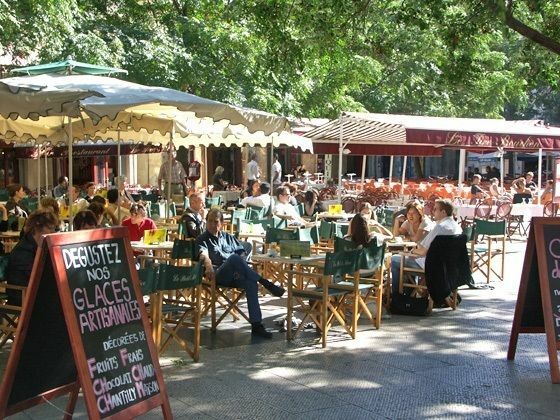 Enjoy a French language immersion stay in France. 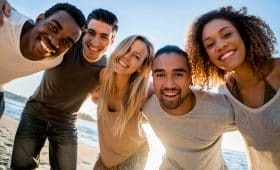 Learn French in vibrant Montpellier, South of France! Montpellier is a young and dynamic university city on the Mediterranean Sea with a fantastic atmosphere and countless opportunities for leisure activities during French language immersion stays. Many events of international level such as festivals, concerts, exhibitions are organized year-round. Montpellier is vibrant, creative and fun – the Mediterranean city that never sleeps. The ideal place to learn French in France and to have a lot of fun during French language immersion stays. 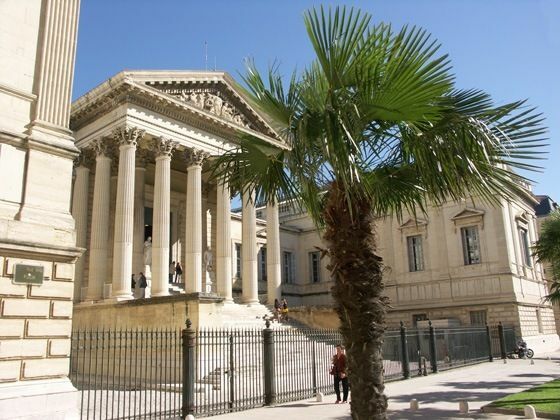 Montpellier has one of Europe’s oldest and largest universities. More than 80,000 students contribute to the lively atmosphere of Montpellier. There are hundreds of student bars in the center where you can easily meet local students – perfect way to learn French during your French language stay in France. 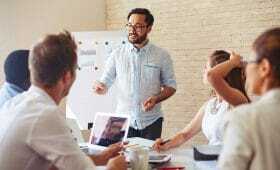 You will enjoy a lively language exchange with local students. The cost of living is lower than other places on the French Mediterranean coast. 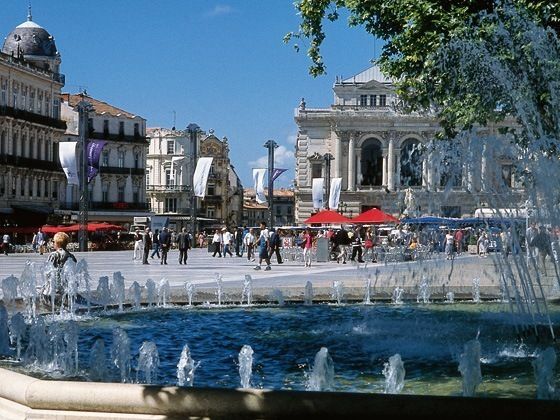 Montpellier is vibrant, creative and fun – the Mediterranean city that never sleeps. The ideal place to learn French in France and to have a lot of fun during French language immersion stays. Montpellier’s wonderful climate is mild with over 320 days of sunshine per year. 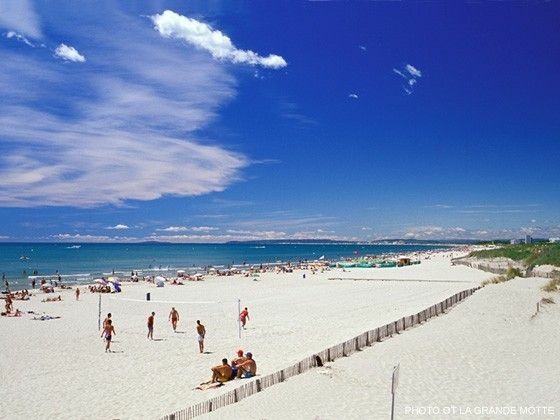 Stunning sandy beaches and salt lagoons with wild pink flamingos are within easy access – a great place to relax after French courses in France. Montpellier’s beautiful historical center has over 1,000 years of history, charming private mansions, quaint, narrow streets, cafes and a unique, warm Mediterranean atmosphere. Our French language immersion school is right here in the city center. 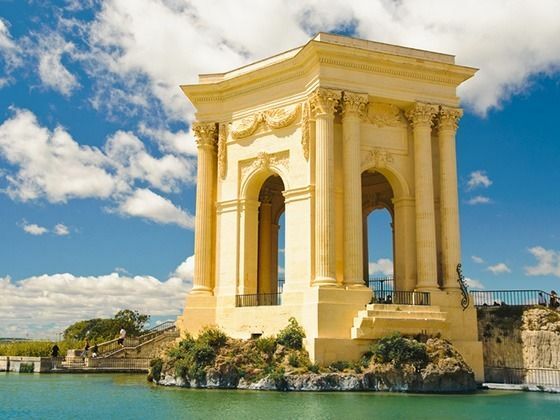 Montpellier has a fantastic location between the Mediterranean, Provence, the Camargue and the Pyrenees. Visit with our French language immersion school world-famous places and UNESCO sites like Avignon, Aix en Provence, Carcassonne and the Pont du Gard. Montpellier is the starting point for wine tours to the numerous vineyards of the Languedoc region, well know for it’s variety of grapes and soil. These quality wines are well appreciated by wine lovers and are also tasted during wine workshops at our French language school in Montpellier.